Following my play at making a little book with a chocolaty secret, I decided to see if it could successfully be made bigger to hold a more substantial gift. The inner box is 13.5 x 8.5cm so would hold a piece of jewellery (chaps if you are listening), chocolates or some other lovely gift. 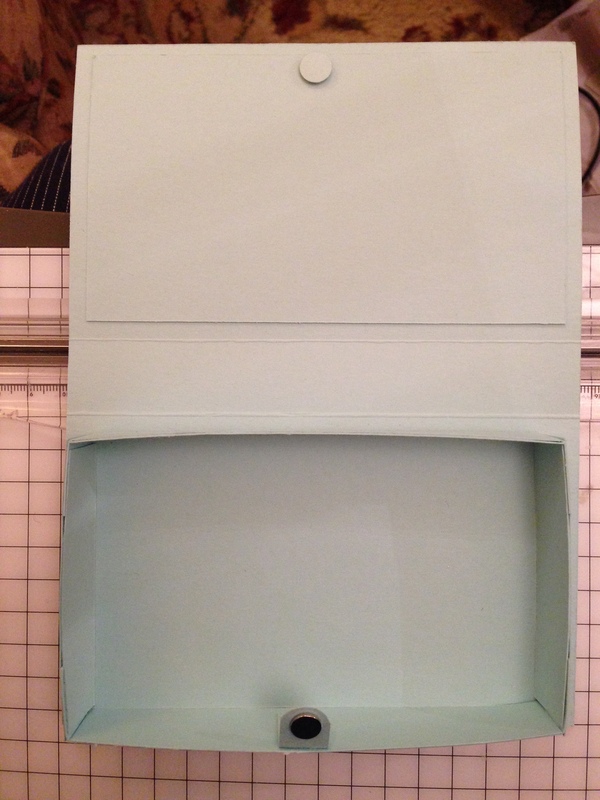 I have reinforced the lid, the base and the side of the box itself and used a magnet to close. You could use a belly band or some white ribbon if you don’t have magnets to hand. 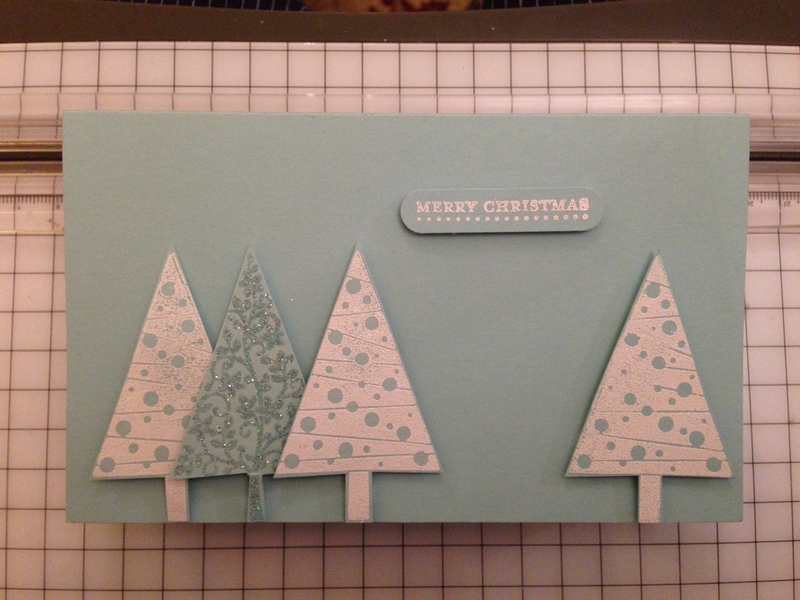 This is made with Pool Party card, and the Festival of Trees stamp set. Admittedly it is not a traditional Christmas colour scheme, but who says you have to do traditional? If you want to buy any of the items I have used to make the box, or you have any questions please do not hesitate to contact me.